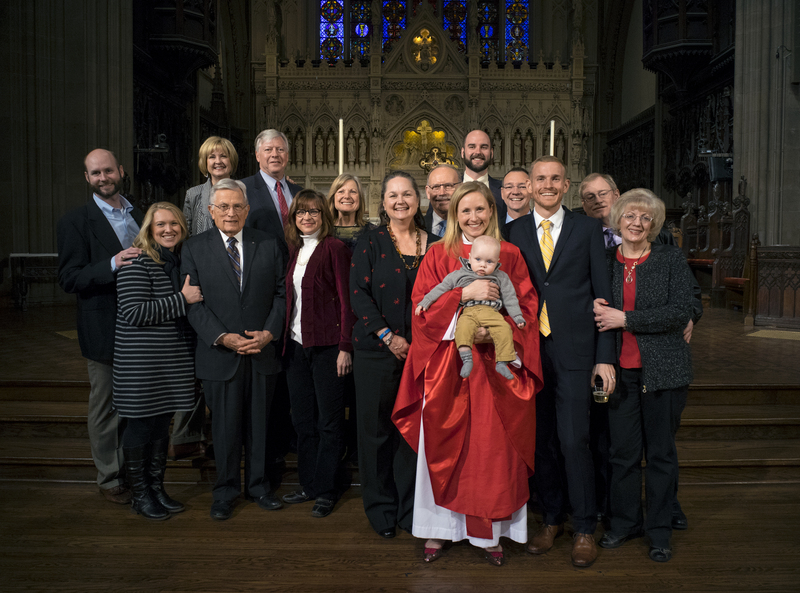 Preached at Trinity Wall Street on the Fourth Sunday after Epiphany. We tend to think of love as something soft and nurturing–and it is these things. But if we’re “doing” love right, it’s also hard. God is good—All the time/All the time—God is good–Amen. Indeed both the readings we heard today speak not only to God’s goodness, but God’s opulent goodness. God’s over-the-top generosity. 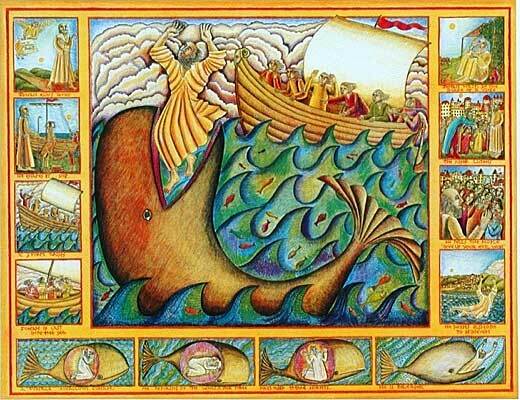 First we hear the story of Jonah and the Ninevites. Jonah takes the prize for being the whiniest of the prophets. I mean here he tries to escape God’s instruction to go to Nineveh and warn the people of their coming destruction and doom, he’s thrown into the sea and swallowed by a giant fish who vomits him out onto dry land again, he begrudgingly makes his way to Nineveh and says simply, “Forty Days and God will smite you all,” and then he climbs up a hill and perches himself on the side of it to wait and watch the destruction. Kinda like the Grinch who stole Christmas waiting at the top of the mountain to hear all the Whos in Whoville cry boo-hoo-hoo. But low and behold, those pesky Ninevites—the people everyone loved to hate—the people who had enacted such evil atrocities on so many—the people no one could forgive—what do they do? They change their ways and turn to God. And God changes the divine mind and decides to spare the city. Ok, now picture a person, or a group of people, or a city or nation who have inflicted serious gut wrenching evils on us. Picture a modern-day Nineveh that you might wish were wiped from the Earth. Do you have that person or people in mind? Now imagine God forgiving them, and imagine your response. Man, forgiveness is hard. Even when we’re not the ones doling it out, even just witnessing the immense love of a forgiving God can make us bristle. And then we look at today’s gospel. A landowner goes to the market and hires some men to come work in his vineyard for a day’s wage. A few hours later he returns to the market and hires more men. And a few hours later he returns again, sees some men standing idly by, says “Why are you standing around doing nothing?” and when they respond, perhaps feeling destitute, that no one has hired them, the landowner brings who must have been the “least of these” back to work in his vineyard for the remaining hours of the day. That evening he pays them all the same day’s wage, whether they worked 2 hours or 10. Of course the workers who had worked all day grumble at the landowner’s generosity. It’s not fair!! And like God’s response to Jonah, the landowner asks, “are you envious because I am generous?” And we might be inclined side with the landowner, because who could possibly begrudge his generosity? But now imagine the implications on your life if minimum wage were to increase to better compensate the workers on the lowest end of our economic system. Or imagine how much more the food on your table might cost if the migrant farm workers who harvest it were entitled to basic workers’ rights, like one day off a week. Sure it seems ridiculous to begrudge one’s generosity—until it demands something of us. And lets face it. As easy as it is to laugh or scoff at the senseless anger of Jonah or the laborers, if we take these readings seriously and truly apply them to our own lives, we’re bound to squirm a little. Because if we worship a God who is merciful and gracious, slow to anger and abounding in steadfast love—a God who acts out of generosity rather than fairness—a God who forgives way beyond our comfort zone—then are we not called to follow the one we worship and try our best to do likewise? As you leave here today, think about which of these two stories makes you squirm the most, and then continue to reflect on it all week long. Think of God’s mercy on the Ninevites when you’re watching or reading the news. Think of the generous landowner when you’re going over your bank statement. Allow yourself to get uncomfortable. And then consider how you might practice more forgiveness and generosity in your own life so that your very lifestyle is an act of worship and a testament to the God of love we know in Christ Jesus. 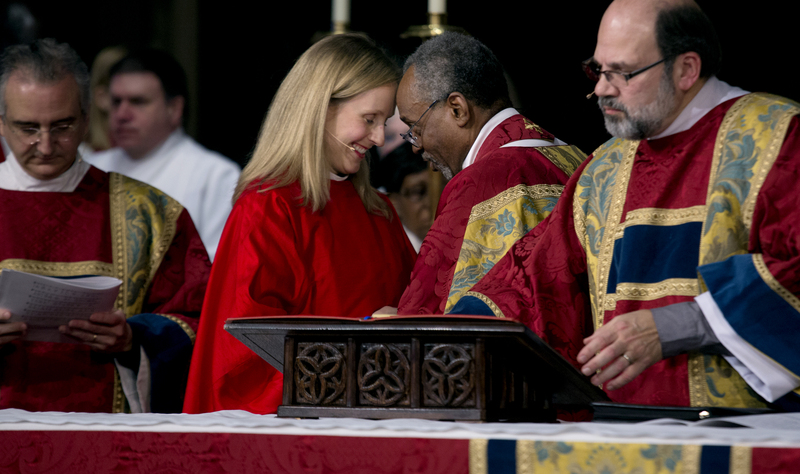 Weekday services at Trinity are special because they are intimate gatherings of dedicated Christians mixed with a smattering of tourists from various faith traditions who happen to stop by. On Thursdays the “New Beginnings” group of retired parishioners is always present, sitting in the front pews. I was one lucky lady to preach on a Thursday with a group of strong women sending me love and encouragement! While I did not preach from this script, it is what I wrote to prepare. Since beginning my work at Trinity less than a month ago, my commute has quadrupled. I’ve gone from living, studying, eating and worshiping on the same small seminary campus—where forgetting my umbrella on a day like yesterday would might mean a few raindrops on my head walking from the classroom or chapel to my home—to forty minutes of walking and riding the train—where forgetting my umbrella means certain drenching. With my new commute comes new routines. One of them is to read the New York Times—or the AM New York if I grab one—on the train. I’ve always considered myself a fairly informed and aware person, but now that I’m really taking the time to read the news each day, I confess I feel like I’m watching the world fall apart. Today’s Gospel echoes that same desperation. Jesus is talking to people from Jerusalem, Judea, Tyre and Sidon. Did you know Jerusalem is about the same distance from Gaza as this church is from Croton Harmon or Mt. Kisco? That would be considered a normal commute for many New Yorkers. And Tyre and Sidon are coastal towns. The Gaza strip follows the same coast. We hear in our reading that everyone is trying to get closer to Jesus—close enough to touch him. Pressing in on him, hoping for healing and change. Desperate. And Jesus says: Blessed are the poor. Blessed are the hungry. Blessed are the weeping. Blessed are the marginalized. Reading these words today with our colloquial notions of “blessed,” these words could sound trite. Well, bless his heart—as I grew up hearing in the South. Or an instagram pic of an ice cream cone on a hot day with the hashtag #blessed. If Jesus’ words sound trite or empty, it’s because we have misused them. It’s not about feeling blessed—but being blessed. And so it’s when we feel the least blessed that Jesus reminds us that we ARE indeed blessed. And it’s the people who appear the least blessed that Jesus points to and says—THIS—this person is blessed. When Jesus says, blessed are the poor, the hungry, the crying and marginalized—he’s not speaking words of consolation. These words are a call to action. This truth of not feeling—but being—blessed—it’s a truth that challenges us. And we can look to today’s Epistle to understand just what it is Jesus is calling us to: kindness, forgiveness, love and sacrifice—a life that imitates Christ. In a war-torn world such as ours—a world where civilians, children even, are victim to political, economic, religious and cultural conflict—these aren’t wimpy words—they are powerful. Kindness and forgiveness are not signs of weakness, but of strength. Love and sacrifice are not signs of compromise, but conviction. If we listen to Jesus’ words and take them to heart—if we believe that the marginalized are blessed and live lives that proclaim this truth with the same love and sacrifice Jesus taught—we can be the change we want to see in the world. We can proclaim and embody the Gospel as imitators of Christ. When Father Benjamin started today’s service in prayer, he mentioned a name—Thomas A Kempis. Thomas was a priest, monk and writer. He enjoyed solitude. But he used the quiet time he had to write one of the most published and widely read books in Christian literature: The Imitation of Christ. In it, Thomas talks about how to love God—by imitating the life of Christ with kindness, forgiveness, love and sacrifice. How can you imitate Christ in your own life? Are you a quiet person like Thomas? Perhaps you can spend 30 minutes of your day praying for the needs of our community and for peace in the world. Are you a live-out-loud type? Maybe you can be like the woman I saw at the Fulton stop this morning singing, “What a friend we have in Jesus, take it to the Lord in prayer.” Are you a social person? Maybe you can help us pack brown-bag lunches on Sundays, or help us share the lunches with our neighbors on Tuesdays and Thursdays. Or maybe you like to keep to yourself, but have $17 to spare to share your compassion with the school children in our community by donating to our “Totes for Teachers” program. I feel like the news these days brings out our differences more than anything. And it’s true that each of us is different, one from another. But we can, each in our own unique way, be imitators of Christ. We all have a capacity for kindness, forgiveness, love and sacrifice because we all are blessed. It’s time to claim our blessedness and be a blessing.